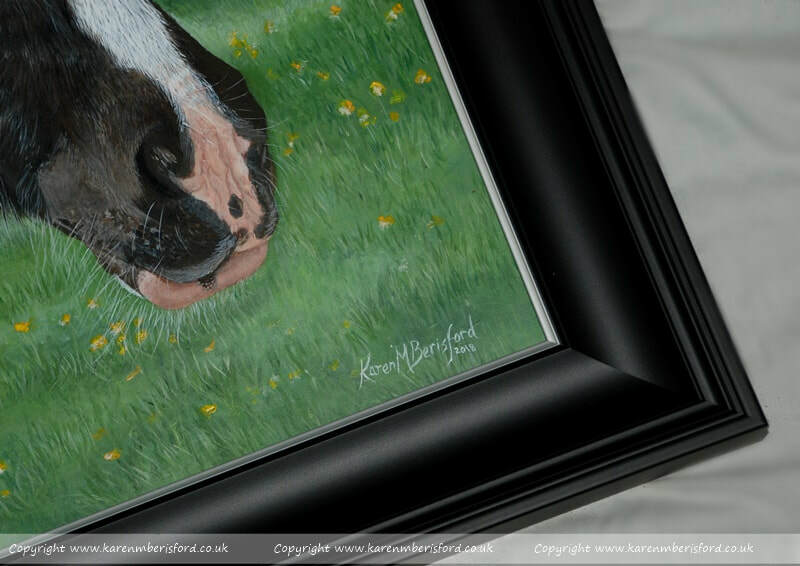 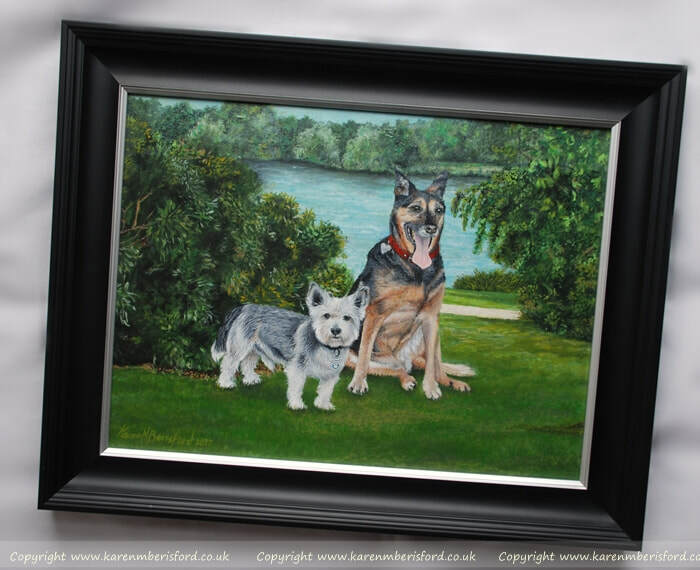 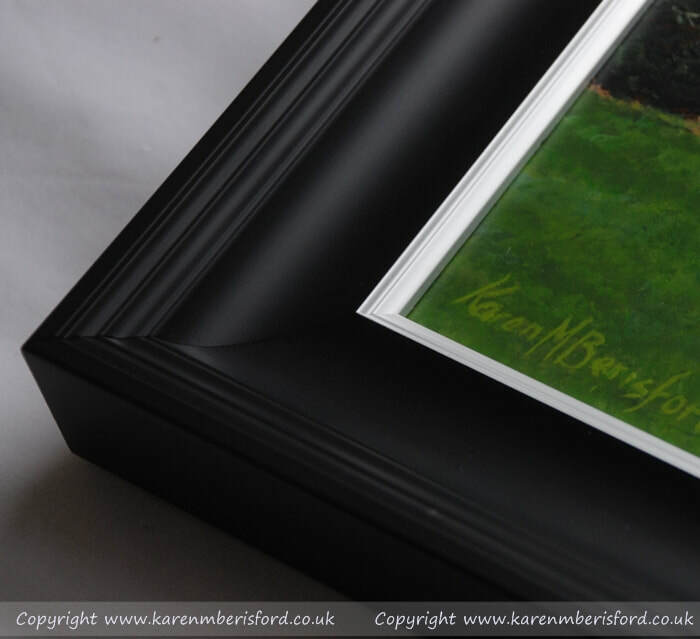 A particular favourite amongst the choice of frames available. 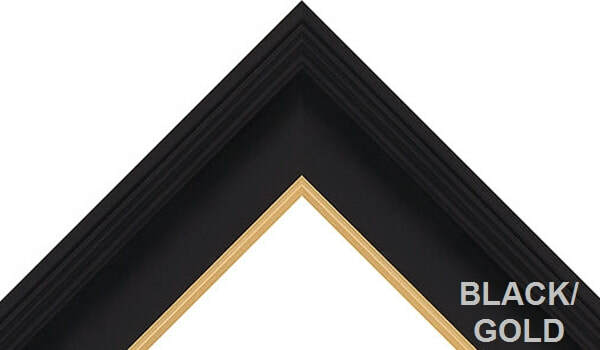 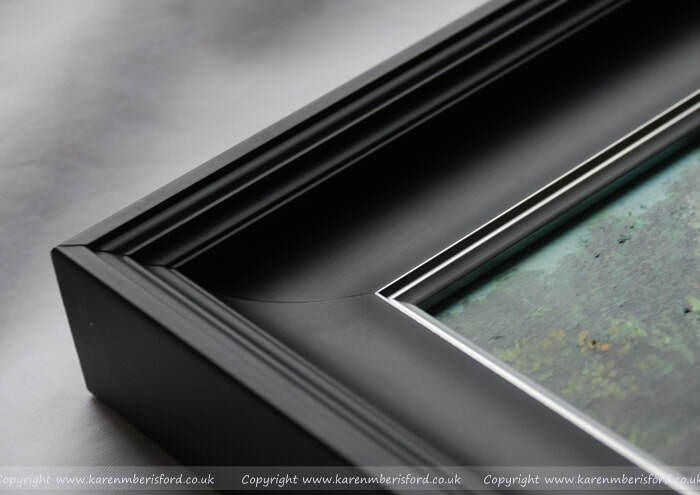 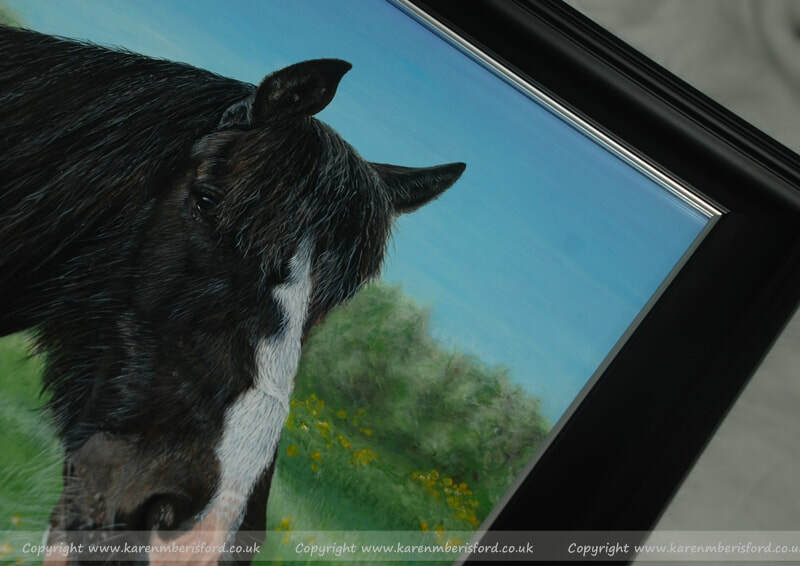 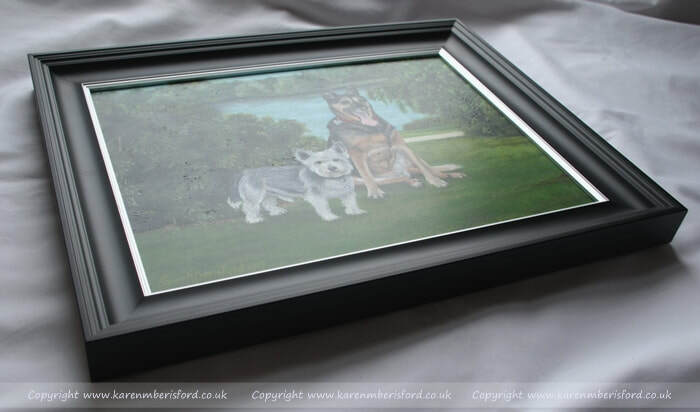 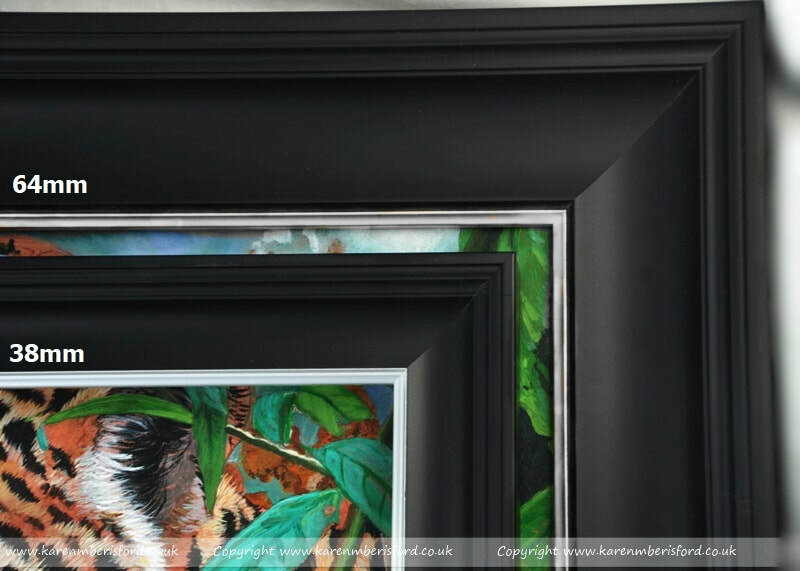 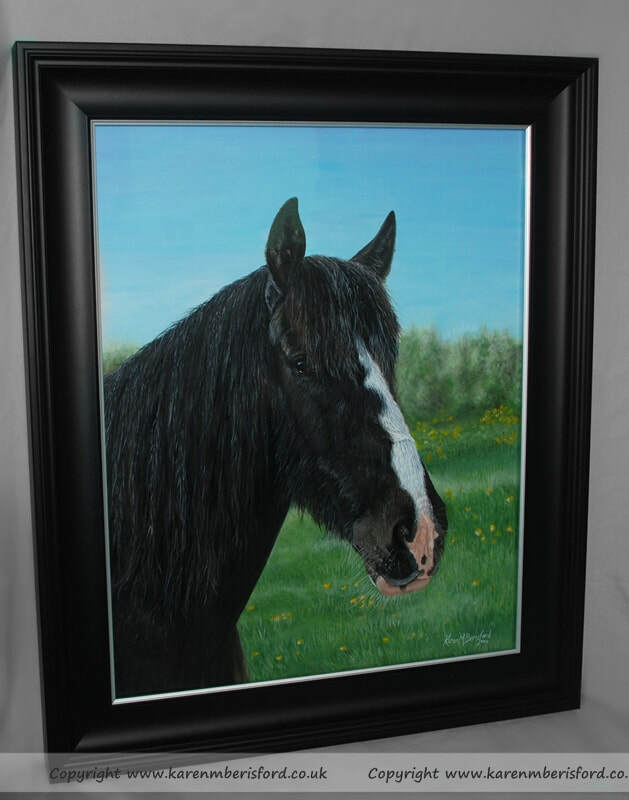 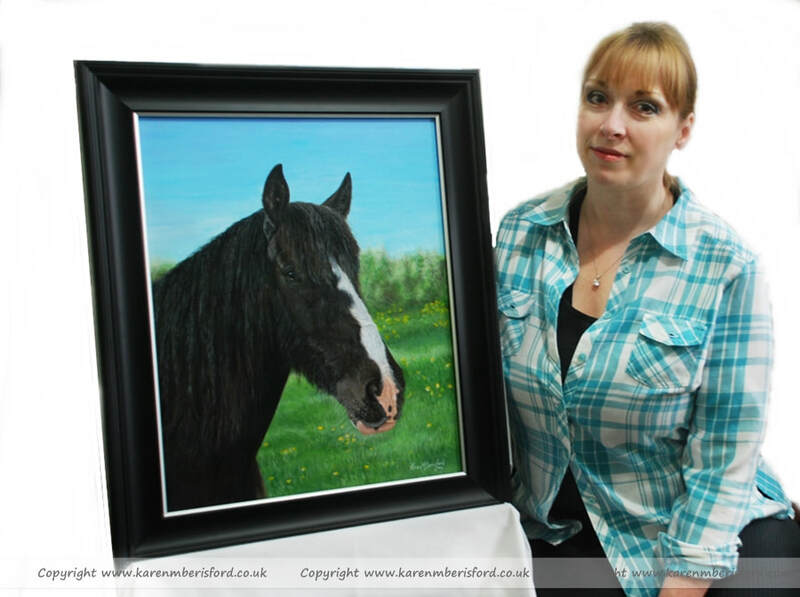 This matt black frame has a silver inner trim which offers the same effect as a mountslip without encroaching onto the painting. 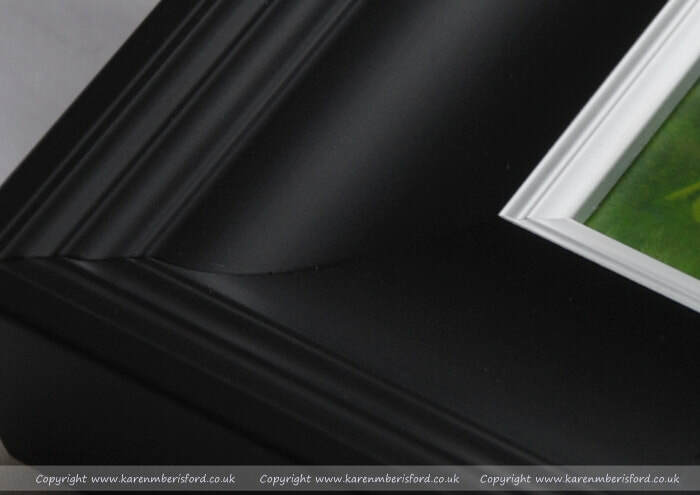 Available in the standard 38mm width as well as a 63mm width if you prefer a heavier finish. 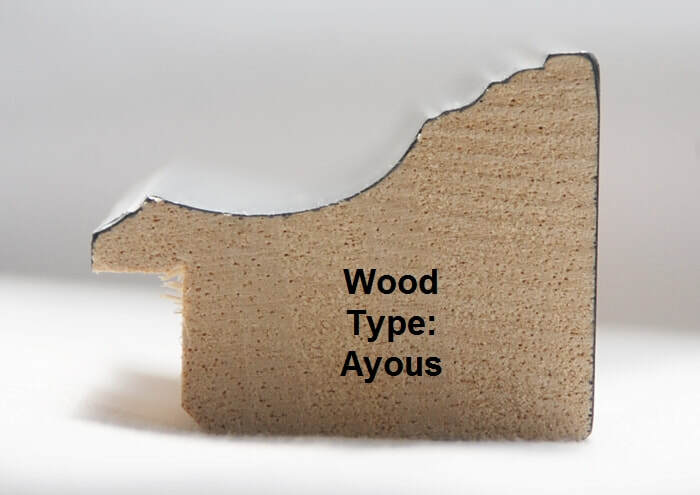 Samples below show both the 38mm & 63mm widths.